Background/Info: Hailing from Poland, but based in Manchester (UK) Martin Seraphin is already busy with music since quite a long time. He first was singer in the Polish gothic formation Oblivion and then lost his passion for music till discovering the opportunities to compose music with a laptop and electronics. 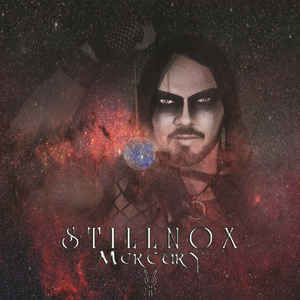 Stillnox was born and here’s the debut album featuring 16 songs. Content: One of this album’s particularities is the featuring of 5 female guest singers who all sung on different tracks. The songs are nearly all duos together with Martin Seraphin. Nearly all songs are sung in English, but you’ll also discover Polish parts. Sound-wise Stillnox clearly deals with electronics mixed with different influences such as electro-wave and dark-pop. Some tracks are even more ‘dance’ and groovy like. Sometimes danceable and next into reverie this work is quite diversified. + + + : The female singers clearly inject a heavenly and sometimes sensual touch to the work. I’ve to admit they all are talented vocalists and it would be a good idea to see Stillnox moving on with one of those singers as leading lady of the band. Sound-wise the diversity of the album appears to be one of the main strengths. 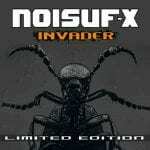 It all feels a bit like Stillnox has to find its ‘sound’, but there’s a basis to move on with. This artist doesn’t spare any effort and I really appreciate the artistic digipak format of this work. – – – : I like the female vocals, but I’m not at all convinced by the male part. I’m missing passion, but mainly production skills. Some parts feel a bit like ruining the rest of the song and that’s definitely a pity. The global writing could be more efficient as well, but in the end “Mercury” is just a debut. Conclusion: I can’t affirm to have been convinced by this debut work. Several elements of the album reflect the result of a starting band. Best songs: “Bittersweet”, “Nibiru”, “The Phoenix”.